Treat your sweetheart to a romantic gourmet trip this Valentine's Day by reserving a table at l'entrecote Corner Bistro at Burgos Circle, Bonifacio Global City. 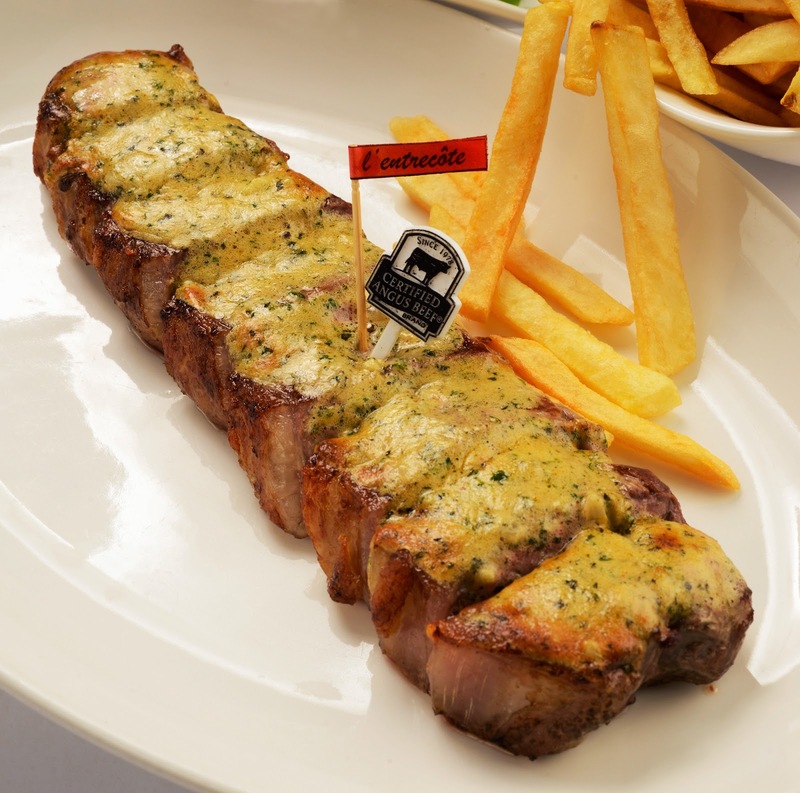 The steak meal is prepared with utmost care to make the gourmet dining experience memorable. The meal starts with Tomato Nage, a flavored broth of sun ripe tomatoes, white wine and spices enhanced with olive oil and complimented by Marinated Salmon on Calamansi Mousse. The main course is a 12 ounce US Certified Angus Strip Loin Steak topped with our Secret Herbed Butter Sauce and paired with unlimited Fresh Fries. Dessert is Coupe Romanoff, marinated fresh strawberry with Vanilla ice cream. Savor the whole meal with 2 glasses of House Red Wine. This romantic meal for TWO is P2,990 only plus 10% service charge. For reservations, call l’entrecôte at telephone numbers 856-4858, 836-2764 or mobile 0905-991-1266. You can also visit www.lentrecotemanila.com for more information.